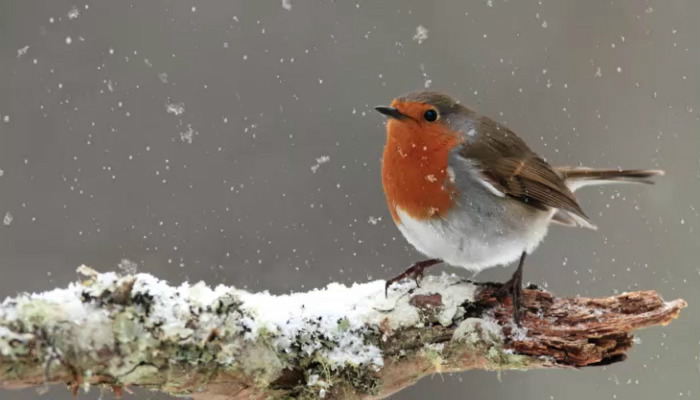 In Victorian times, the uniform for an English postman was a bright red jacket, and this earned them the name of “Robin Redbreast.” In those far off days, the post was delivered on Christmas day. So the sight of the Red Robin postman delivering cards on Christmas day made people think of the Robin Redbreast bird and that image made it onto Christmas cards. These days’ postmen do not wear red tunics, indeed much of our mail is not delivered by postmen, but by e-mail. But on our “Christmas Robin” ecard, we have a picture of the small red-breasted bird, so the spirit of the Victorian postman appears on the front page. This attractive picture of a robin has space for you to write a Christmas greeting to all your social and business friends. A Christmas greeting that will be carried to them by our robin redbreast postman. The robin on the front cover can carry more messages to your colleagues if you take advantage of our three optional pages. On these pages, you can add a more elaborate message and your company’s logo and other messages concerning website links and telephone contacts. You may also use one of these optional pages to spread the word of your support for green issues. For every one of our electronic Christmas cards for business we sell, ten new trees are planted. Using Christmas ecards for business to send Christmas message to your friends not only helps save the environment but can also save you and your company time and money.